Lukas discusses FastCap’s Flex light, the most versatile lighting system you will ever own! It clamps, hangs, and magnetically sticks anywhere. The rechargeable and cordless technology allows you to work on any project that requires lighting with no struggle. For more information on FastCap’s Flex Light, visit our website. Want to keep your vacuum hose nice and neat? Finally, you never have to wrestle with your vacuum hose or shop vacuum again! The Super Reel is adaptable to any shop and can manage 10ft to 50ft of 2.5 inches vacuum hose. The smooth bearing design unwinds and rewinds in seconds. You provide one 2×4 and the 2.5 inches hose. Everything else is included for a quick and easy (20 minute or less) assembly and installation. Want a method to join countertops that is fast, strong, and doesn’t require any special boring or machining? The QwikDraw Countertop Connector is a method of joining countertops that is fast, strong, and doesn’t require any special boring or machining. Maintain perfect alignment and a seam that will never move. Take apart and assemble again in seconds! Made of thick ABS plastic and is 12″ in length. Paul Akers discusses FastCap’s Peel & Stick Kanban. Want a fast, simple & foolproof way to keep track of inventory? For more information on FastCap’s Peel & Stick Kanbann, visit our website. Want a one handed Sharpie? The Sharpie Holster is a nifty little tool designed to make using a Sharpie on the job easier and more efficient. 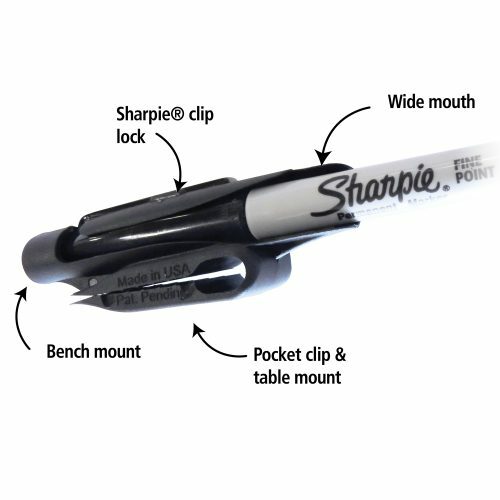 Fitted with a belt/pocket clip and bench and table mounting options, your Sharpie can now easily be capped and uncapped with one hand, saving you time. The cap simply clips into the holster and then to your pocket, wall, or table, keeping your sharpie right where you need it. Want to stop walking back and forth to turn on your shop vac? The Remote Control Vacuum (RCV) makes you more efficient by removing the need to walk back and forth to turn your vacuum on. Simply attach the remote to the end of your vacuum hose via the hook & loop strap and get ready to save time and money. Paul Akers discusses FastCaps Super Reel, a product that will keep your vacuum hose nice and neat. It just takes seconds to roll or unroll your hose. For more information on FastCap’s Super Reel, visit our website. The Tail Lock is a wireless locking system that allows you to simply close it, click it, and lock it. 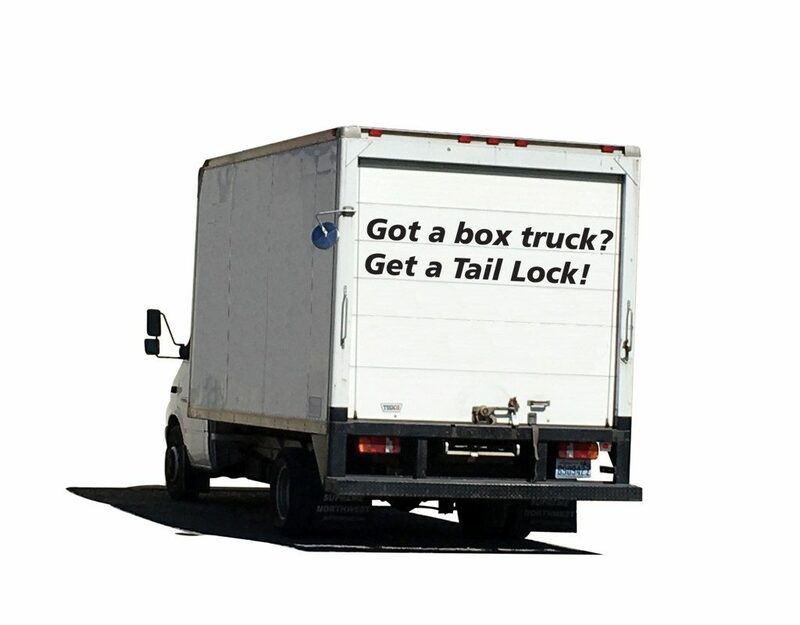 Recessed bolts secure the lock to the bottom of your truck quickly, easily, and are fully enclosed to prevent access when locked. Welded aluminum housing protects the wireless locking cylinder to prevent tampering. Additional safety feature allows you to open the lock even without power in case of emergency using the included custom tooling. Don’t be a statistic – or even risk becoming one!